Phoenix, which is the flagship event of the Finance Society (FINTRA) of the Lahore University of Management Sciences (LUMS) was held between 25th-27th January 2019. After 3 days of intense competitions, Lahore Grammar School Paragon branch bagged the top spot and managed to win the overall award. There were a total of 100 delegates from around the country divided among a total of 20 teams. While the team from LGS Paragon bagged the top spot, the team from Institute of Business Administration Sukkur grabbed the first runners-up spot whereas the team from the Beaconhouse Defence Campus Lahore snatched up the second runners-up spot. Participants got a chance to bring out their inner stock brokers and investors in this competition. This was a virtual investment competition in its entirety and required participants/teams to invest in virtual stocks using imaginary money (allocated equally among all the teams). This was a trivia-based scavenger hunt and if it wasn’t obvious, the trivia questions were based on finance-related issues. 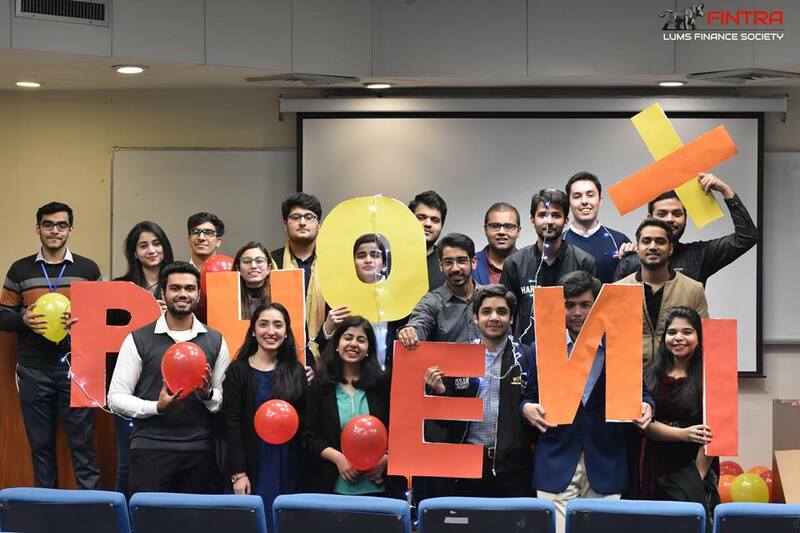 The competition aimed to test the participants’ financial knowledge along with their speed in solving the questions and finding items scattered throughout the LUMS campus. This competition proved to be hell for even the best of problem-solvers and thinkers. It required participants to solve cases pertaining to money theft, embezzlement/laundering, and money trails etc. It tested the participants’ thinking skills to the absolute maximum and ended up giving them a whole new take on how financial cases are dealt with in the real world. Shoot Out was an ad-making competition in which teams were tasked with the creation of advertisements for various companies. The ads were put on Phoenix and FINTRA’s Facebook pages and the team whose video got the most likes won. Aspiring entrepreneurs and in general each participant was given a chance to get a feel of what an elevator pitch feels like. They were tasked with the presentation of their own business idea in front of a panel of industry veterans and professionals. This was the third annual edition of Phoenix and it ended up quite successfully with the dispersal of cash prizes to each of the winning teams. We would like to congratulate the winners and side by side, the organizers for successfully conducting the event. With this, TechJuice signs off as the Official Media Partner of Phoenix 2019.